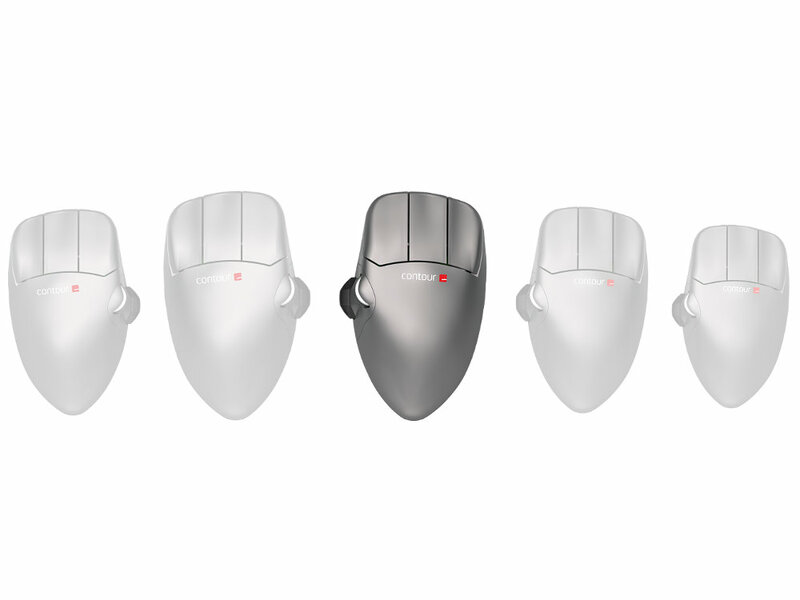 Now you can enjoy the same benefits of the world's finest ergonomic mouse with a newly designed scroll wheel and thumb rest, all new cursor speed selections and a state of the art sensor for added precision. 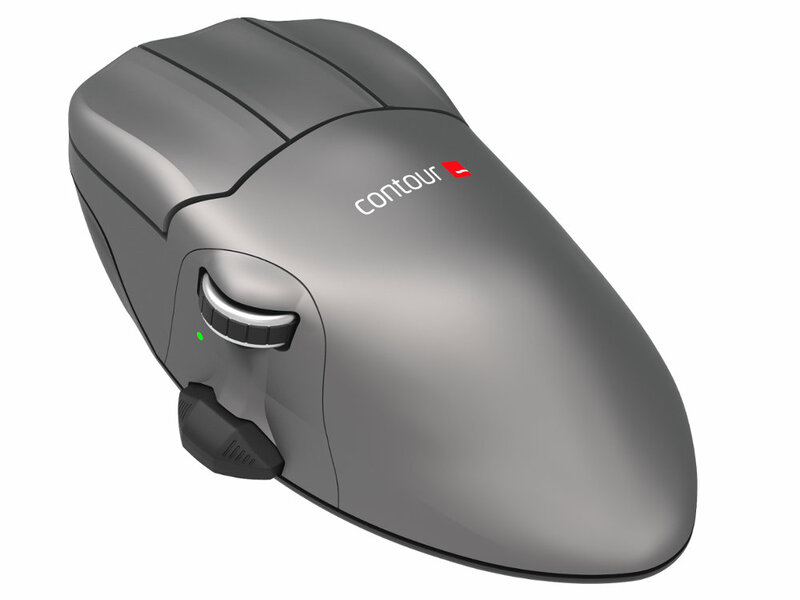 The Contour mouse was carefully designed with a slight pronation angle of 17 degrees and features a neutral tilt to relieve pressure on the forearm, opening the carpal tunnel and minimizing grip force. 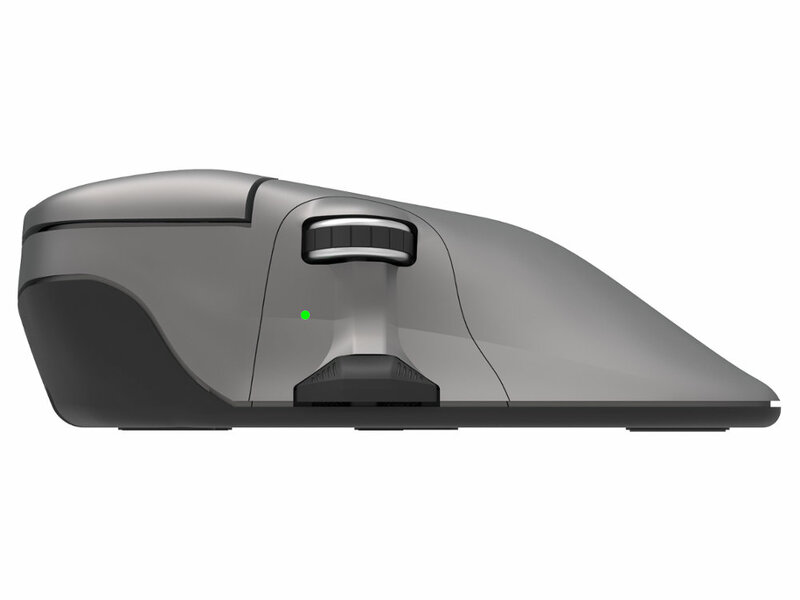 The pronounced arch and elevated, elongated buttons allow you to relax your hand on the mouse while providing a better mechanical advantage and encouraging posture variation. This allows you to work more productively and eliminates harmful gripping and pinching postures that can cause pain and lead to repetitive strain injuries (RSI). 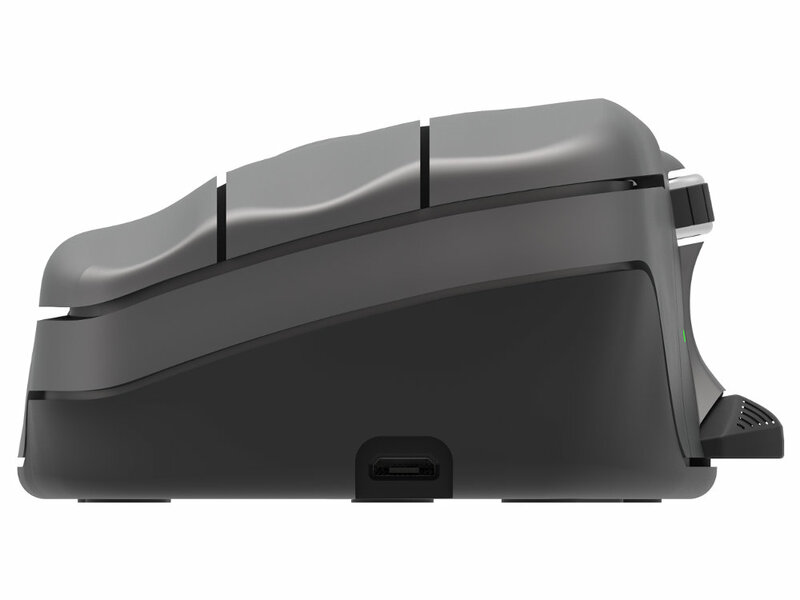 Included are a 2 metre cable, USB receiver and an adapter. 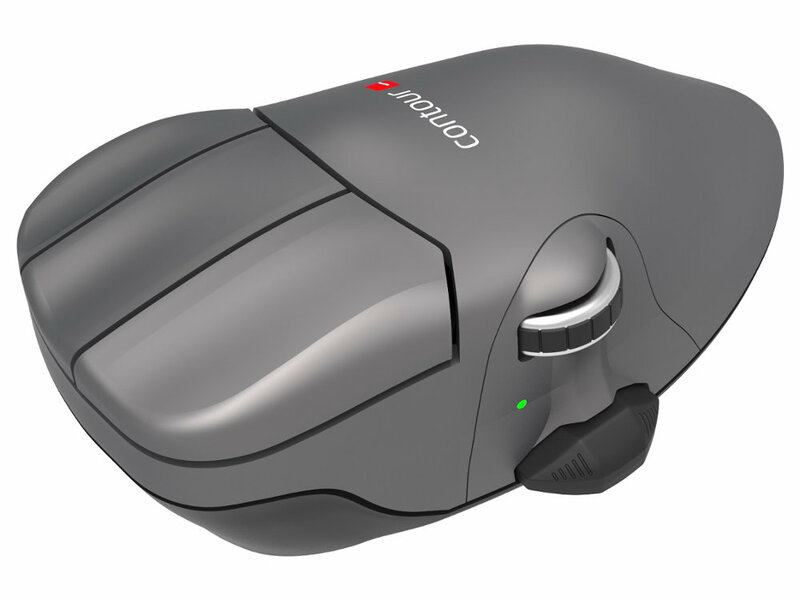 The cable can be used to charge the mouse, while charging from the computer the mouse turns into a wired mouse, so the receiver can be unplugged, if you'd like to leave the cable plugged in all the time the adapter allows you to plug the receiver into the cable. 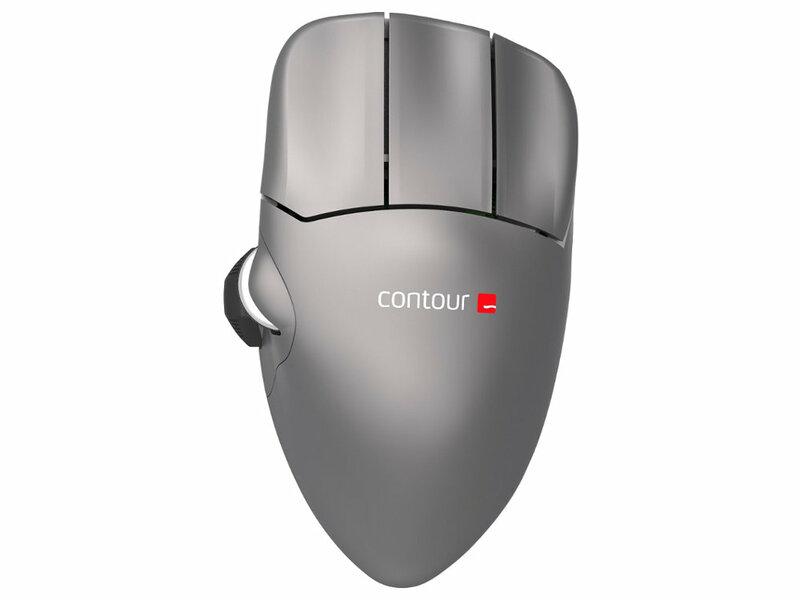 The Contour Mouse is available in three right handed sizes (S, M and L) and two left handed sizes (M and L), so there's a Contour Mouse for just about anyone. Measure from the tip of the middle finger to the first wrist crease with your hand held flat.